Browse door-locks suppliers by country and region. Short on time? 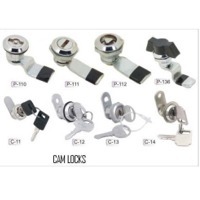 Let door-locks sellers contact you. Wenzhou Youwin Locks Co., Ltd.
We are manufacture of door handles locks, rosette and plate handle, pull handles ,window handles, cylinder ,lock body,door stopper, door hooks ,ventilation grid, escutcheons and other home hardwares. 1. Defect free, strong sturdy door lock. With k & ks quality certification. 2. Strong & durable body components. Made to withstand heat and electrical shocks. 3. Automatic lock ; relock ; dual lock features. Designed to fit consumerÂ¡Â¯s security needs conveniently. 4. Random number feature. During pin number authentication, before or after entering pin number add another 4 digits to distract original number sequence. 5. Multi-touch number feature. 3 random number will appear on the screen before actual pin. 6. Multi password ; smart key registration function. Password : you can register pin number easily. Guest password : one time usage pin number for guest. Smart key : use the smart keys included in the set right after registration. (up to 30 keys can be registered) other compatible cards can be registered & used. 7. Auto cover authentication. The sensor cover opens and closes with just one touch for convenient authentication. 8. Adjustable volume setting with muting features. Sound can be adjusted in 7 levels depending on userÂ¡Â¯s choice. 9. Highly visible white light button. Highly visible white light button for easy viewing even in dark places. 10. Emergency battery function (9v battery). When the battery is discharged, initialize the lock outside by using a 9v battery. 11. Anti-shock ; anti-fire ; anti-hacking system. Aside of anti-shock and anti-hacking feature, there is the anti-fire feature designed for internal safety, 12. Sub-type door lock. No handle type door lock.